Bijou Basin Ranch: Meet Allure! 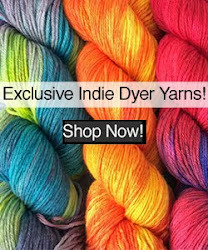 We're pleased to introduce you to our newest product to join our family of fine yarns and fibers at bijoubasinranch.com: Allure! Allure is available in 16 oz. and 3.4 oz bottles and a 0.23 ounce single-use packet; it comes in three great fragrances: Woodland Mist, Prairie Breeze, and Fragrance Free. This all-natural no-rinse wash is backed by 30 years of experience; the premium no-residue formula was developed specifically for fine fiber care by our own resident chemist, Eileen Koop! It is currently available for purchase here on our website, and it will be making its fiber show debut at the Taos Wool Festival next month. Those of you who have purchased yarn from us at recent shows & festivals have probably received a sample of our Woodland Mist scent, and we look forward to hearing what you think about it! 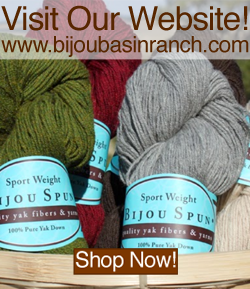 If you'll be joining us at the upcoming Sneffels Fiber Festival, be sure to stop by the Bijou Basin Ranch Booth - we'll have free samples of Allure with any yarn purchase!